When I was 14 years old, first job, learning the business my aunt owned Tile Refinishing, who I admired a lot, was an excellent stainer of paver tiles. She learned a lot of things not to do, and in the process perfected what to do. I paid real close attention to all she had to show me about this extremely detailed work done on hands and knees. 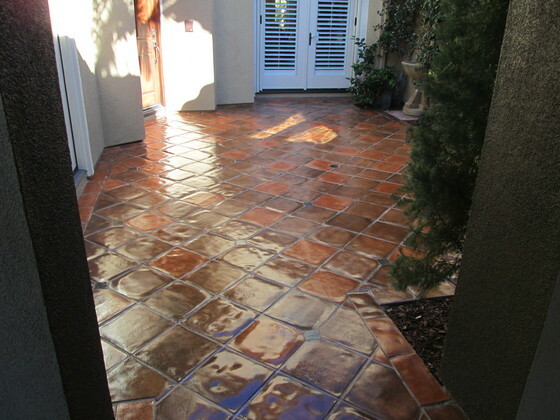 A good staining job is to achieve the color you want throughout the floor, letting the colors of the pavers and the imperfections of the pavers come through, giving it a stained look not a heavy painted on look, where all of the pavers look exactly the same no variety, no character. It’s like when you stain wood and you can see the grain and imperfections of the wood come through the stain. It’s the same idea, same look. Streaking is another way to know if it’s a bad job because streaking means they put it on to heavy. A good staining job is when it has a nice hue leaving the characteristics of the paver looking natural, not painted on, not making them one solid uniform color. 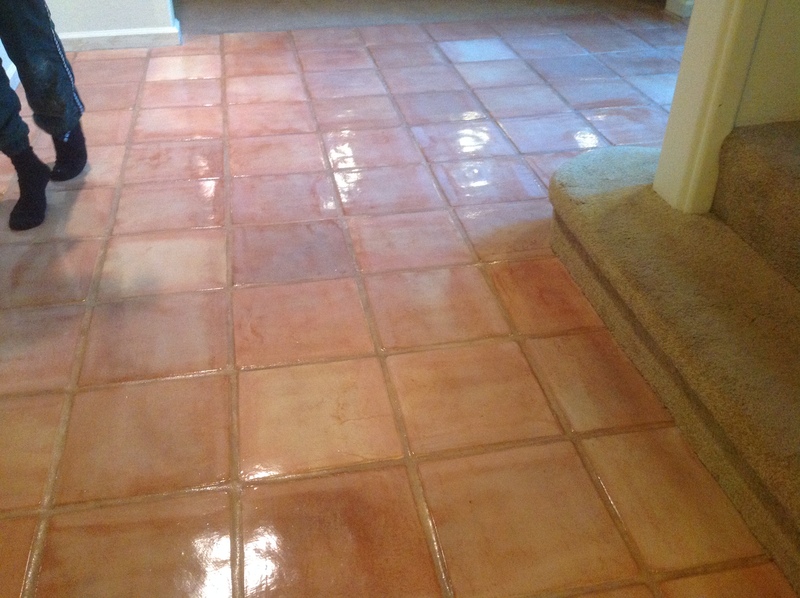 Other things that need to be considered while staining is, you want to stain the grout the same color as the paver or do you want to leave the grout its natural color. 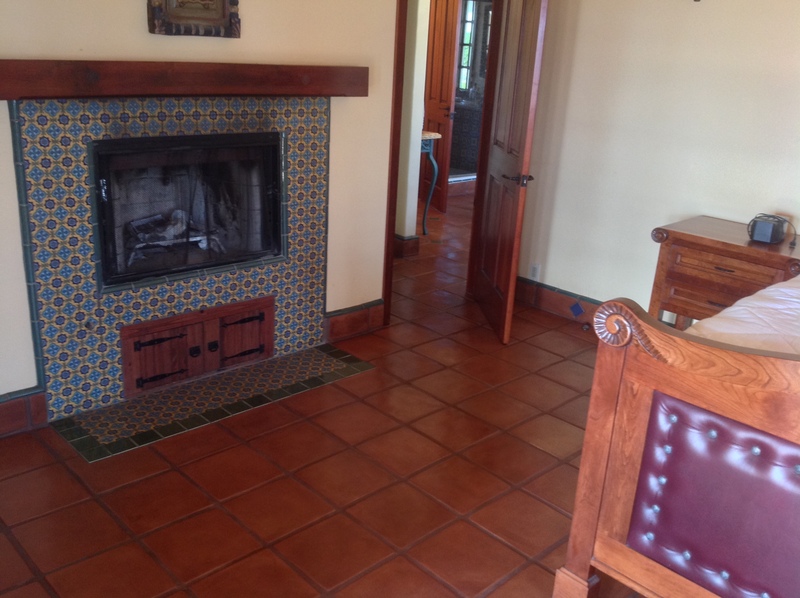 We stain mexican tile, saltillo tiles, pavers, ceramic tile and much more..
Other things that need to be considered while staining is to know if you need a Grout Stain to grout stain the same color as the paver or leave the grout its natural color. We can also just grout stain its own color. For example, if you have a dark grout like natural grey grout or your grout is kind of dirty looking or faded, we will then stain the grout a nice champagne color, or another lighter color of your choice. This makes the floor flow more and gets rid of the checkerboard look, making the grout look brand new. This will change the appearance to the house making it look lighter and brighter. Another reason for staining grout is sometimes we strip down a floor, and find that someone replaced broken pavers and grout, and when they replace the broken pavers and grout the grout was matched to the dirt in the old grout, so when we strip it, it won’t match the original existing grout. For example, we will strip down floors that are a lighter colored grout, that’s when we find the darker color grout repair, and what I do is custom make a grout colorant, and blend the darker grout to the lighter grout. 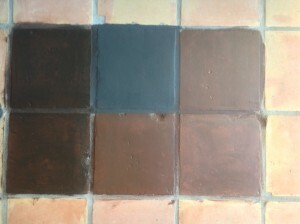 Or in other cases grout has been faded due to chlorine; acid based cleaning products, etc. So re-staining the grout will give it a brand new look. Start Staining those tiles today!